Posted on: March 8th, 2019 and is filed under CB. Posted on: February 7th, 2019 and is filed under CB. Posted on: September 24th, 2018 and is filed under CB. Posted on: September 18th, 2018 and is filed under CB. Posted on: August 28th, 2018 and is filed under CB. 400%+ returns: Urja Global, Nila infra, Control Print & more..
Posted on: February 17th, 2018 and is filed under CB. Posted on: January 23rd, 2018 and is filed under CB. Posted on: August 11th, 2017 and is filed under CB. Posted on: April 11th, 2017 and is filed under CB. Posted on: April 3rd, 2017 and is filed under CB. Posted on: January 18th, 2017 and is filed under CB. Posted on: October 30th, 2016 and is filed under CB. 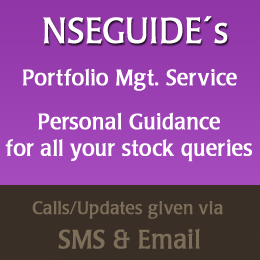 Support & Resistance Levels Of Nifty 50 Stocks as on 04-09-16 – NEW!! Posted on: September 5th, 2016 and is filed under CB. Posted on: August 6th, 2016 and is filed under CB. Posted on: June 15th, 2016 and is filed under CB. Posted on: June 8th, 2016 and is filed under CB. Posted on: May 3rd, 2016 and is filed under CB. Posted on: March 27th, 2016 and is filed under CB. Posted on: March 1st, 2016 and is filed under CB. Posted on: February 2nd, 2016 and is filed under CB. Posted on: November 12th, 2015 and is filed under CB. Posted on: August 25th, 2015 and is filed under CB. Posted on: July 14th, 2015 and is filed under CB. Posted on: July 3rd, 2015 and is filed under CB. Posted on: June 17th, 2015 and is filed under CB. Posted on: June 1st, 2015 and is filed under CB. Posted on: May 10th, 2015 and is filed under CB. Posted on: April 17th, 2015 and is filed under CB. Posted on: March 12th, 2015 and is filed under CB. Posted on: February 20th, 2015 and is filed under CB. Posted on: January 12th, 2015 and is filed under CB. Posted on: January 2nd, 2015 and is filed under CB. Posted on: December 29th, 2014 and is filed under CB. Posted on: December 23rd, 2014 and is filed under CB. Posted on: November 15th, 2014 and is filed under CB. Posted on: October 2nd, 2014 and is filed under CB. Posted on: September 16th, 2014 and is filed under CB. Posted on: August 20th, 2014 and is filed under CB. Posted on: August 7th, 2014 and is filed under CB. Technical target of Nifty at 7400? Posted on: August 2nd, 2014 and is filed under CB. Posted on: August 1st, 2014 and is filed under CB. Posted on: July 14th, 2014 and is filed under CB. Posted on: July 3rd, 2014 and is filed under CB. Posted on: June 6th, 2014 and is filed under CB. Posted on: May 31st, 2014 and is filed under CB. Posted on: May 26th, 2014 and is filed under CB. Posted on: May 22nd, 2014 and is filed under CB. Posted on: April 28th, 2014 and is filed under CB. Posted on: April 15th, 2014 and is filed under CB. Posted on: April 4th, 2014 and is filed under CB.